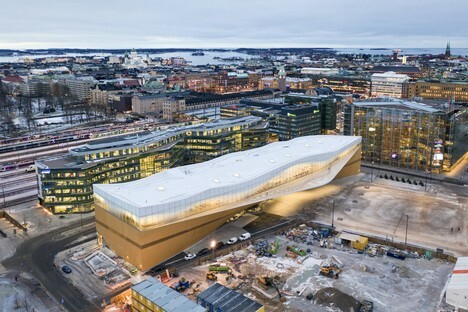 Helsinki’s new Central Library designed by ALA Architects, the only Finnish building nominated for the 2019 EUmiesaward, was recently presented in Milan at a conference on the topic of architecture for culture in Finland. The conference also looked at JKMM Architects’ Amos Rex art museum, also in Helsinki. 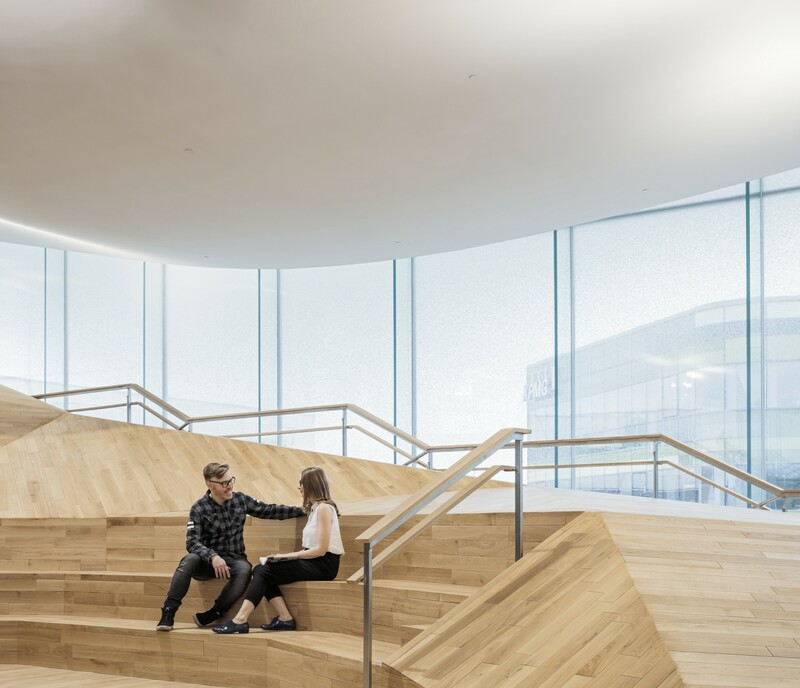 A talk was recently held in Milan with JKMM Architects and ALA Architects, who designed Amos Rex art museum and Oodi, the new central library in Helsinki, respectively. The meeting offered an opportunity to get to know the two recent projects in the architects’ own words and address the importance of buildings for culture, starting with the example set by the Finnish capital. The initiative presented by architect Arianna Callocchia was organised by the Foundation of the Order of Architects of the Province of Milan in partnership with the Embassy of Finland and the ATL – Association of Finnish Architects’ Offices and with the support of a number of organisations and institutions in Finland (the City of Helsinki, SAFA – Finnish Association of Architects, Archinfo Finland - Architecture Information Centre Finland) and Italy (National Council of Architects, Planners, Landscape Architects and Conservationists). 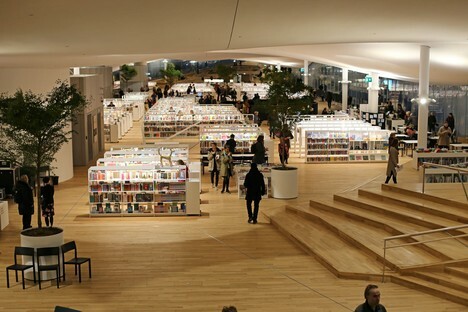 The new Helsinki Central Library designed by ALA Architects opened on 5 December 2018 during the celebrations marking the centennial of Finland’s independence. 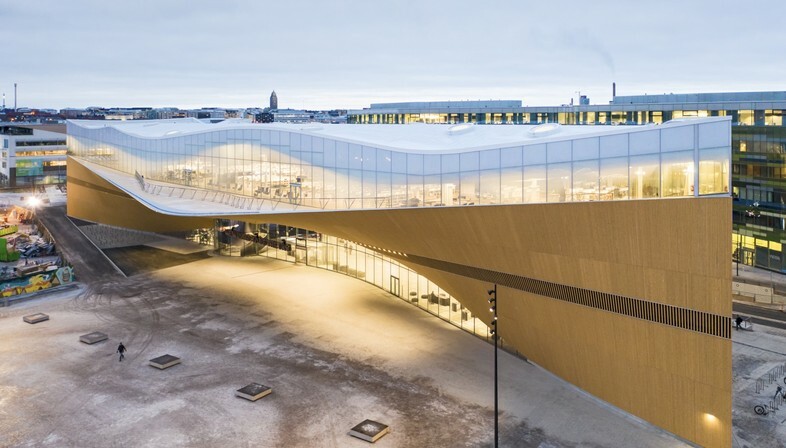 It is the only Finnish building among the forty projects shortlisted by the jury of the 2019 EUmiesaward. Oodi, the name chosen for the new Central Library by popular vote, is not only a library but a place for social get-togethers and educational initiatives, a new living room for the city. 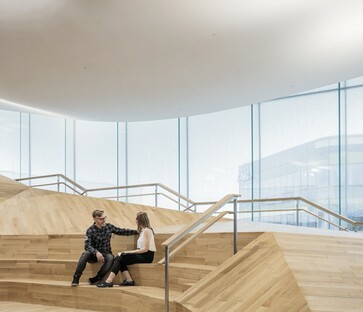 The building is located in a part of the city primarily dedicated to public buildings, near the Parliament Buildings, Kiasma Museum of Contemporary Art, the Helsinki Music Centre and Sanoma House. Oodi represents a new kind of library offering the public a vast selection of activities. The ground floor maintains continuity with Kansalaistori Square, as if the public space continues through the big arch marking the entrance and right into the building. The library’s main façade, entirely made of red fir, is built out of prefabricated units created using 3D parametric design. Its sinuous bridge shape is supported by an imposing steel structure, a solution that leaves the ground floor free of columns, with plenty of space that can be set up in a variety of ways to host events of different kinds. The first floor, on the other hand, is organised into little closed spaces, work areas for small groups of people covering the entire floor, offering library users access to recording studios complete with musical instruments, video projection and conference rooms, workstations and PCs, play areas, a printing centre with 3D printers, a kitchen, sewing machines and a party area. The second and last floor in the building contains the library itself, under a wavy cloud-shaped ceiling. The serene atmosphere is an invitation for visitors to relax and read, while the floor-to-ceiling windows and big patio offer panoramic views over the city centre.